The number of refugees arriving in Germany is continuing to increase daily with more than 800,000 estimated to have arrived by the end of the year. Ensuring that such refugees can settle in as smoothly and as quickly as possible is essential in aiding their integration into German society. Berlin’s Volkshochschule which run adult education centers teaching many of the refugees the German language, in partnership with Bomani Berlin sports club came up with the idea of organizing a sports event for the refugees in Berlin to help make them feel welcomed to the city. They organized a football tournament in which refugees from six different countries competed to win the Cup of Good Hope at the end. The tournament was held in Charlottenburg over one weekend with a total of six teams from Egypt, Syria, Eritrea, Afghanistan, Germany and Albania competing. German football teams are also contributing to the refugee crisis currently facing Europe. 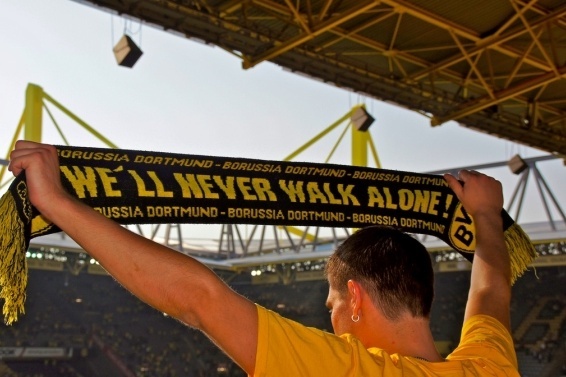 Germany’s two largest football teams Bayern Munich and Borussia Dortmund have both been involved. FC Bayern Munich recently donated €1 million to charities that are helping refugees in Germany an also invited young refugee children to walk out with the team at a match. They are also looking into setting up a training camp to provide those in need with food as well as German lessons for children to try and ease the integration process. Borussia Dortmund have also been involved in various projects including inviting 200 refugees to watch a match in the stadium. They issued a statement affirming that Germany needs migrants in order to support its economy. 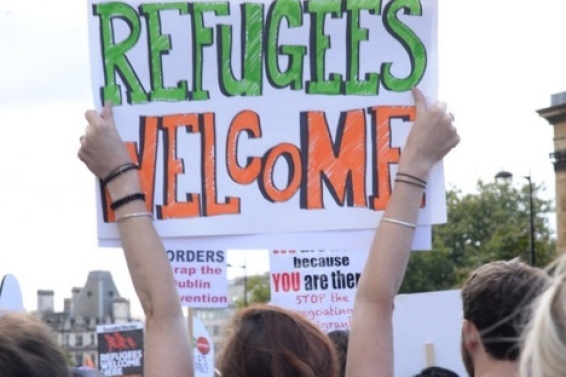 Fans of both teams have also been supporting refugees with banners on display during matches stating ‘Refugees welcome’. Other smaller teams such as Mainz also invited a number of refugees to a match. Sports is a great method through which refugees can feel welcomed and part of society, it is a great way of bringing people together who perhaps are from very different backgrounds but can share a common interest together.